For convenience of having 4 brayers in one. Handle accepts interchangeable brayer rollers--Soft Rubber, Hard Rubber, Acrylic, and Foam pop-ins. 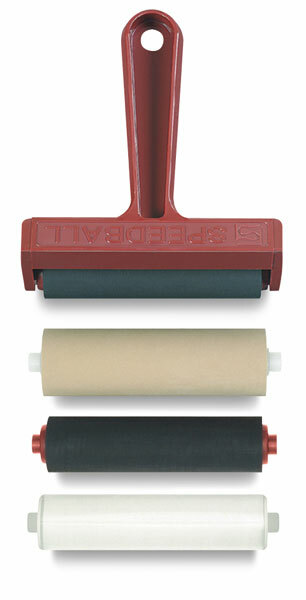 All rollers are replaceable.